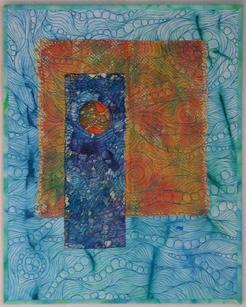 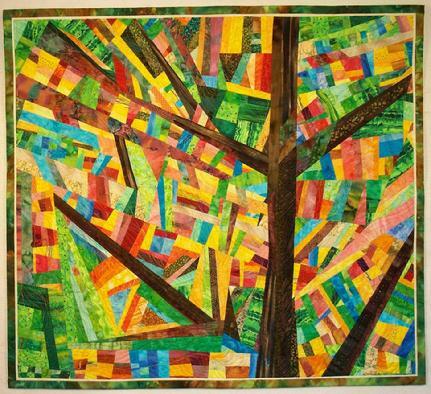 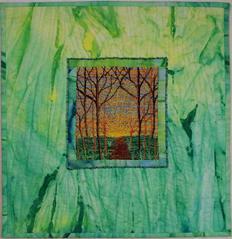 Selected as a semifinalist for the 2010 AQS International Quilt Show & Contest in Des Moines, Iowa. 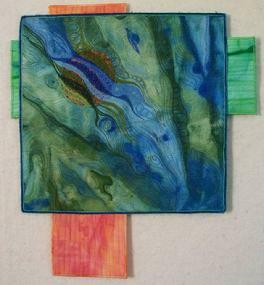 Hand painted fabrics, embellished with yarns and beads. 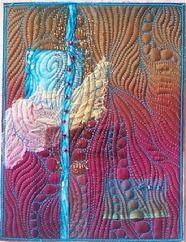 Hand painted fabrics, thread painted, beads. 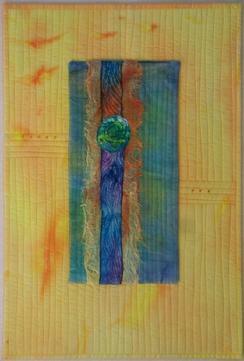 Donated to the 2010 Des Moines Area Quilters Guild for Silent Auction. 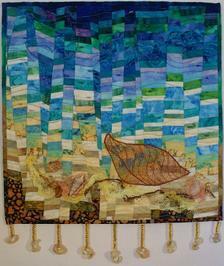 Embellished with beads and sea shells. 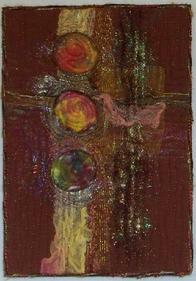 Donated to the SAQA 2010 Benefit Auction. 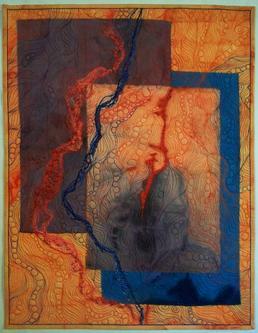 Hand-painted fabric embellished with thread-painting.